Typically, cracking can be observed on the rubber surface when it is stretched and exposed to the ozone. Ozone-induced stress cracking is considered a problem as it contributes to diminishing the appearance and serviceability of rubber products. Ozone concentration form cracks which cause potential failure in the rubber. This study investigates the influence of ozone exposure and discusses most of the effects resulting from the ozone attack. 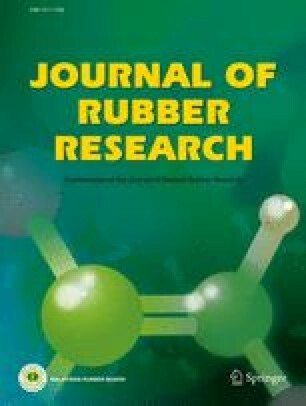 Water serves a barrier and protects rubber from the ozone attack. Many cracks formed on the rubber surface at a high strain compared to that of a low strain. The distribution of crack lengths represents a complex function of time and strain. The chemical reaction of ozone proceeds in the absence of strain which results in a shiny appearance and is tacky due to uniform occurrence of ozonolysis on the rubber surface.